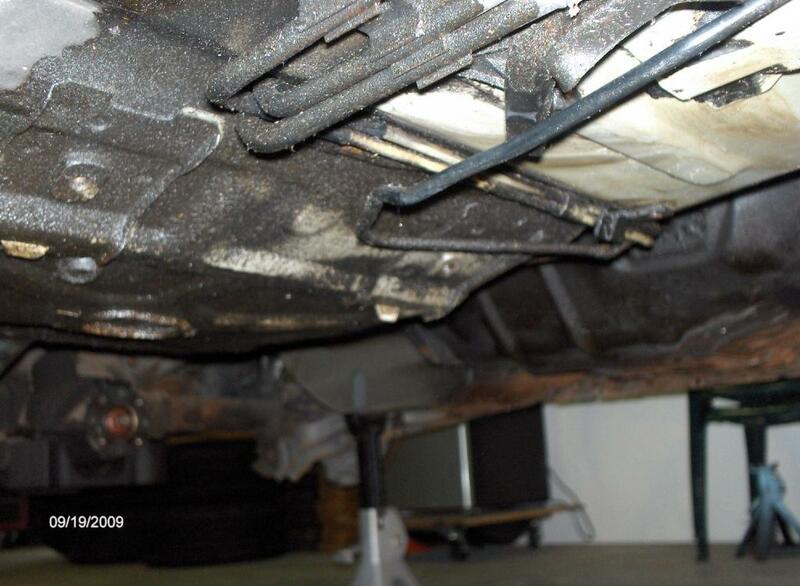 With the car now in the air and the motor and transmission out, I was able to get a good look under the car. 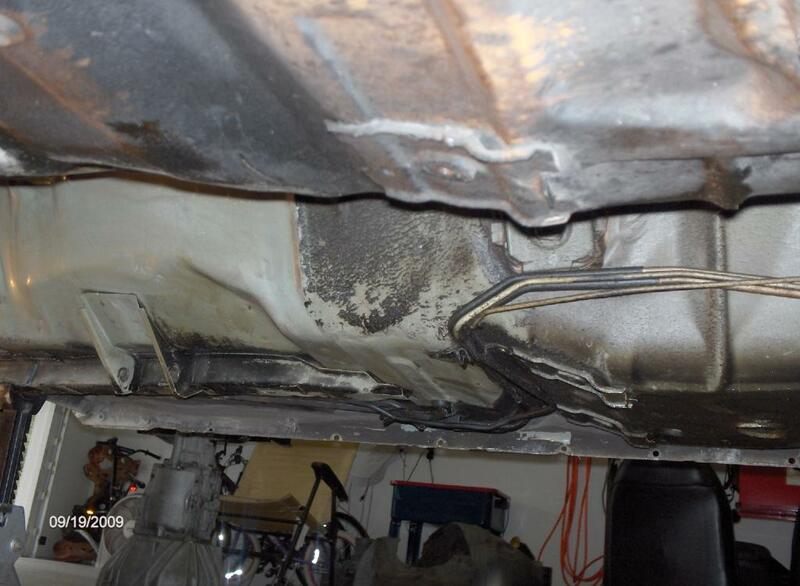 It was filthy! 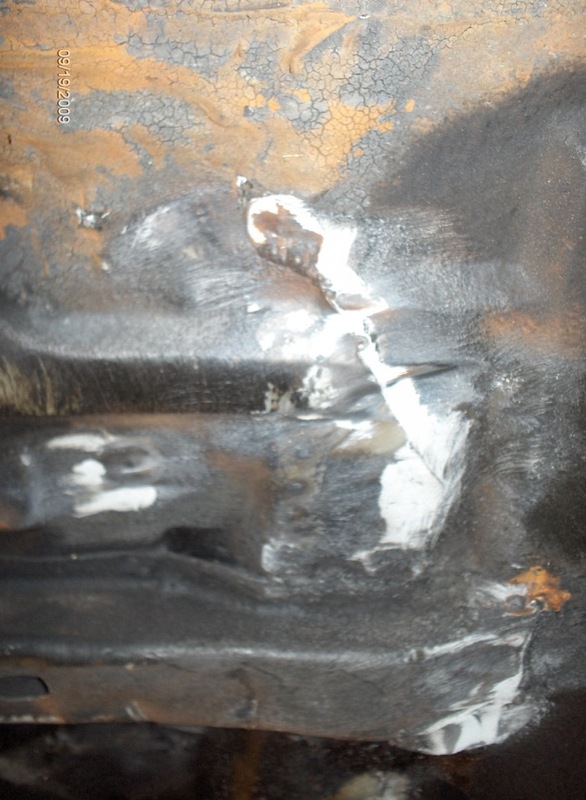 The floor under the passenger side was coated in oil and sludge, while the drivers side had a thick layer of oil and under coating on it. 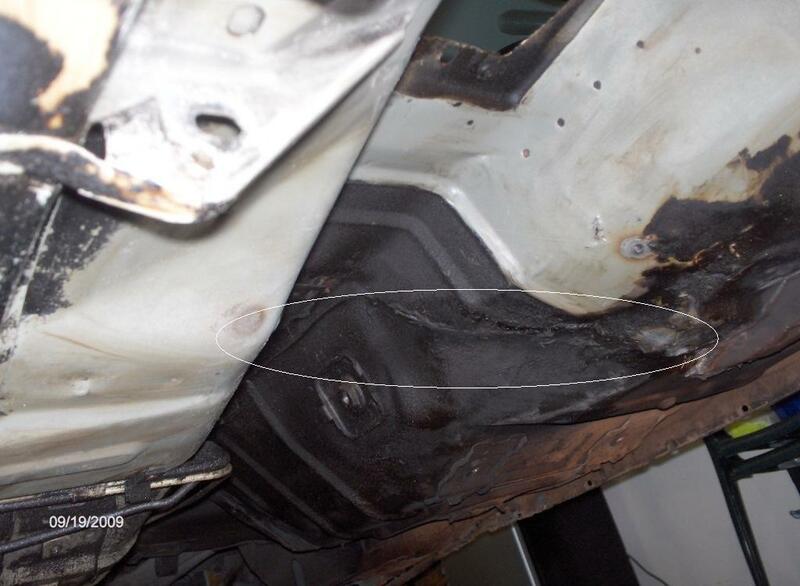 As I began cleaning the floor and getting it back to the factory paint, I found that the drivers side floor had been replaced at some point and the repairs were covered up with undercoating, black paint and seam sealer. 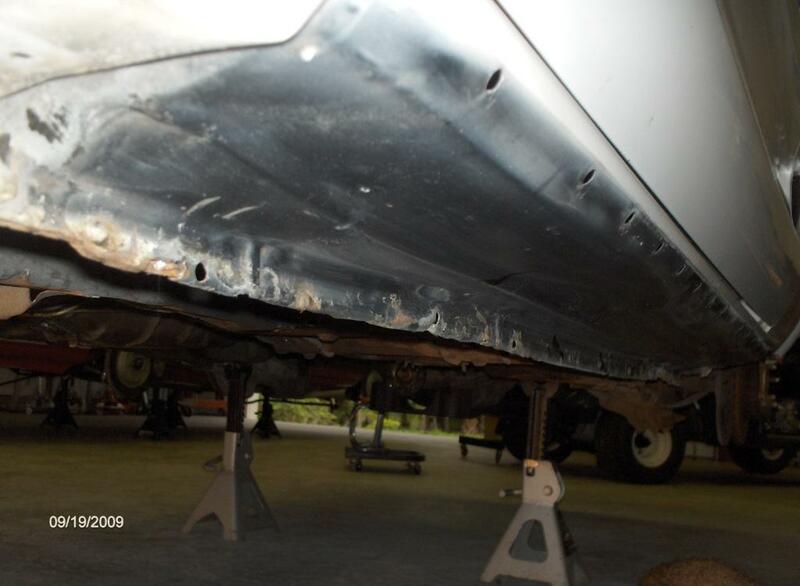 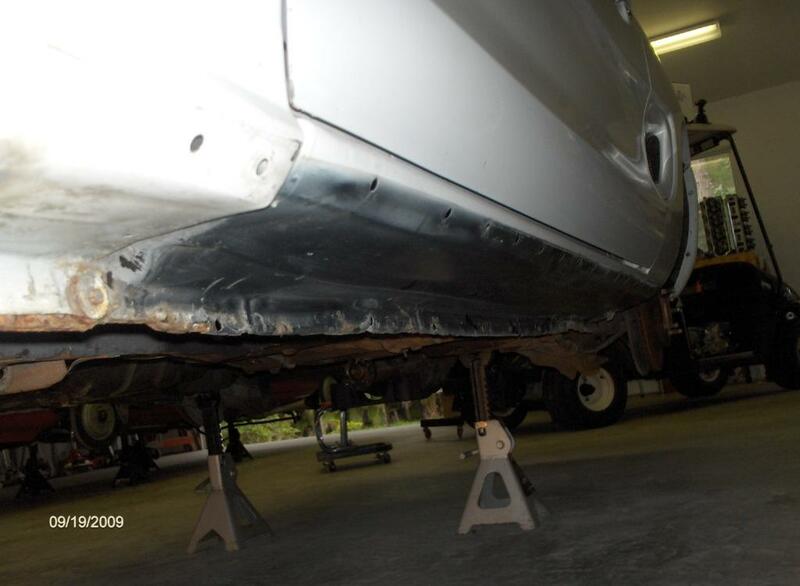 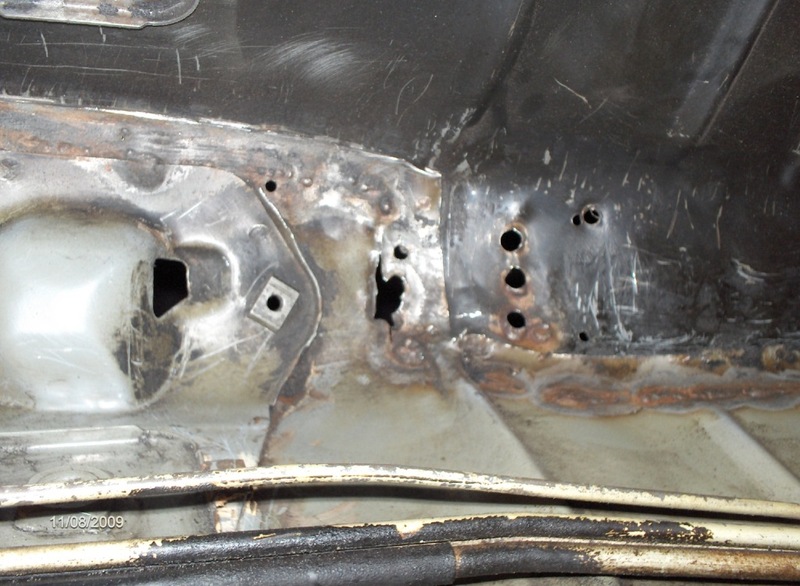 The new floor had been laid on top of the old floor, creating a lap joint, which was poorly sealed and started rusting.The repairs extended up to the transmission tunnel and back to the rear seat bulkhead. 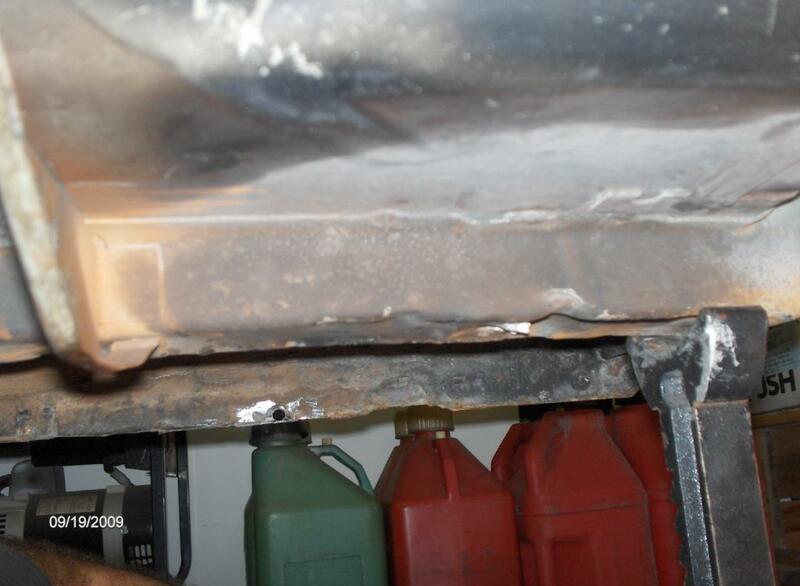 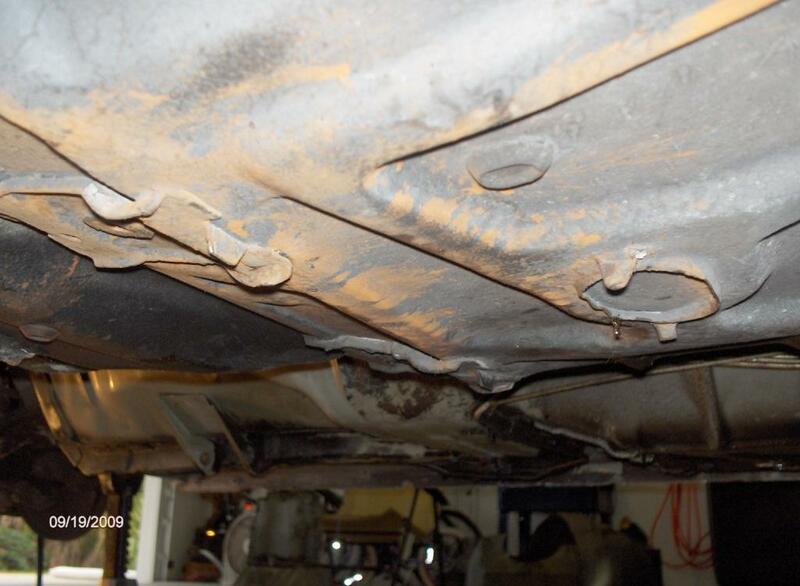 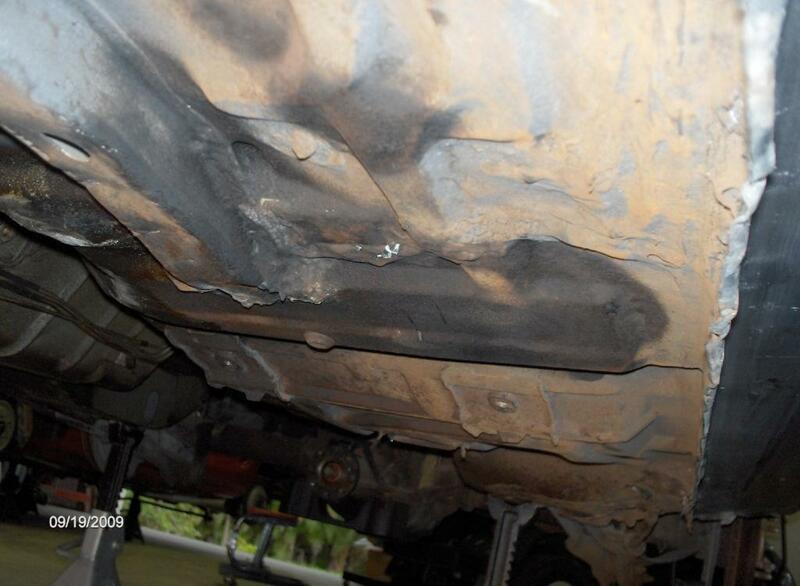 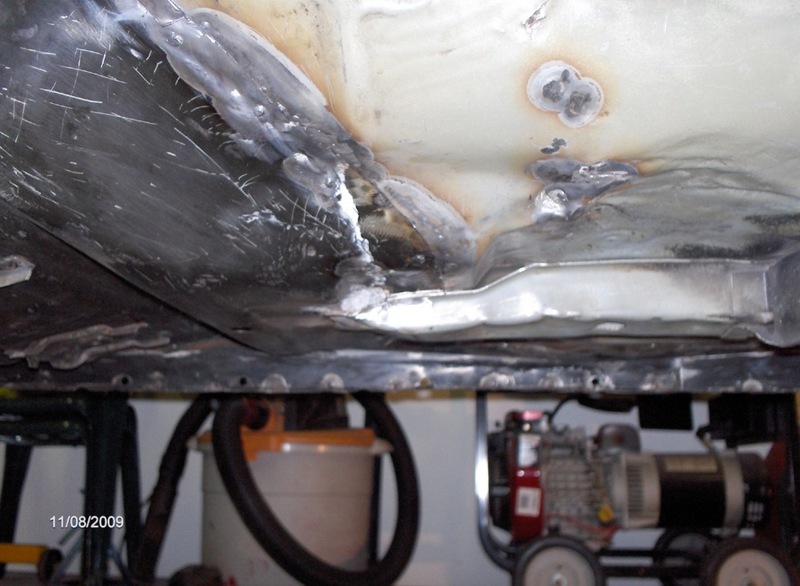 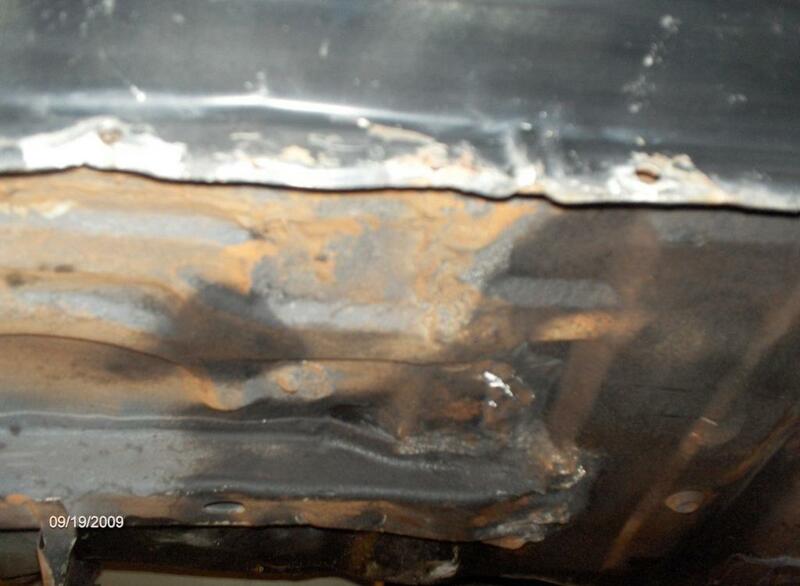 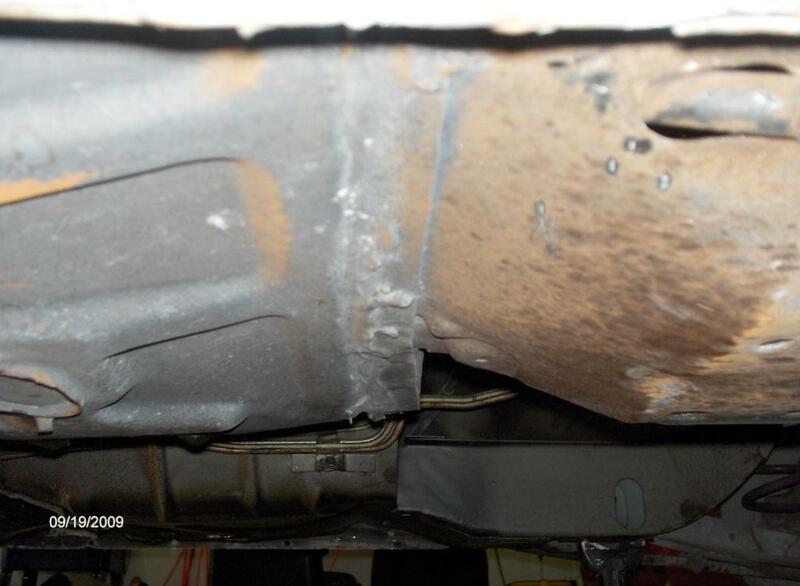 The welds themselves were of poor quality and the floor was actually welded in too low! 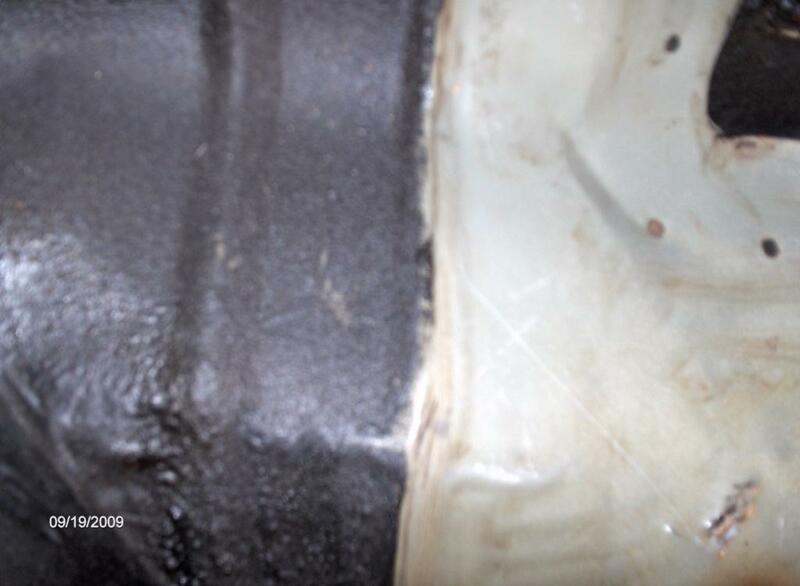 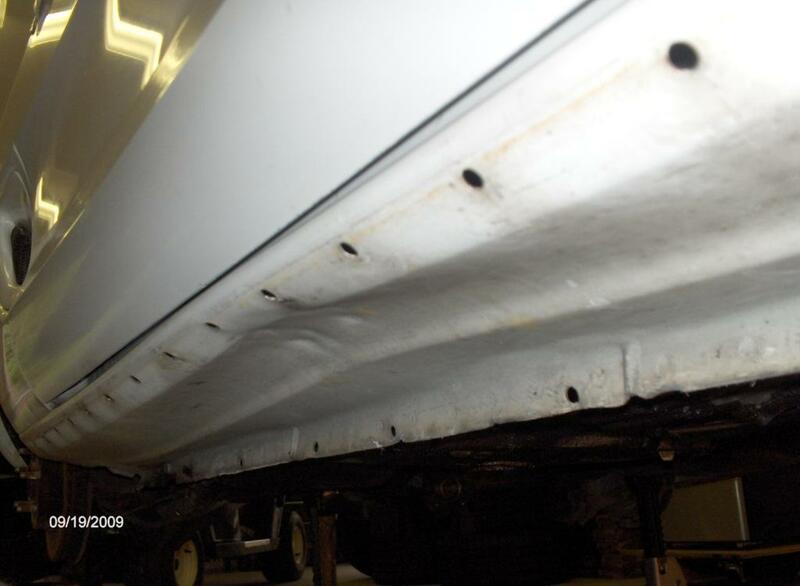 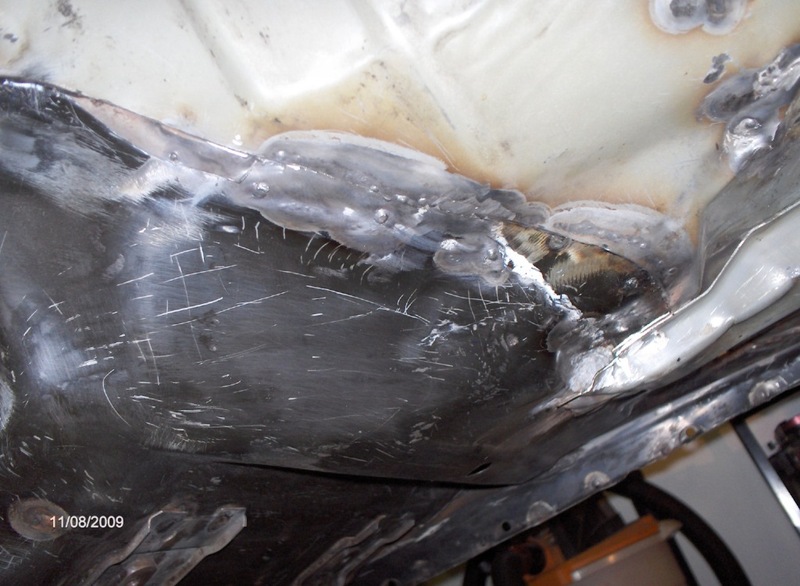 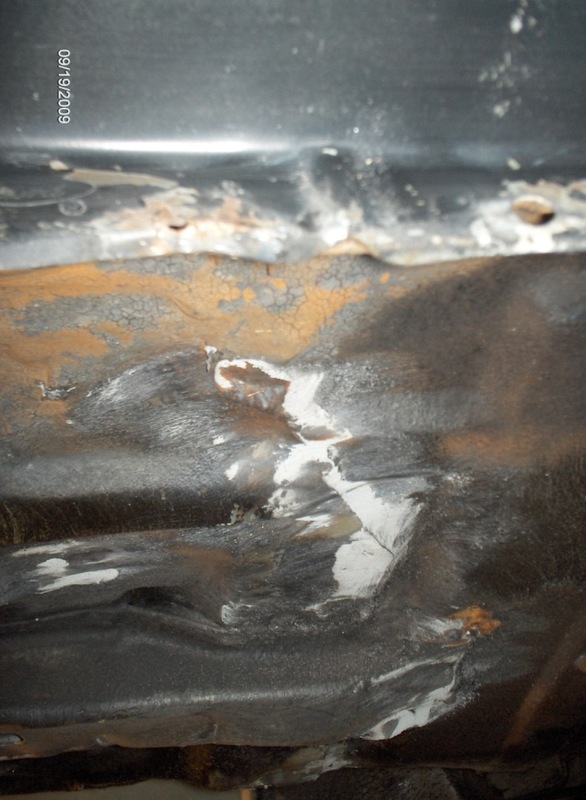 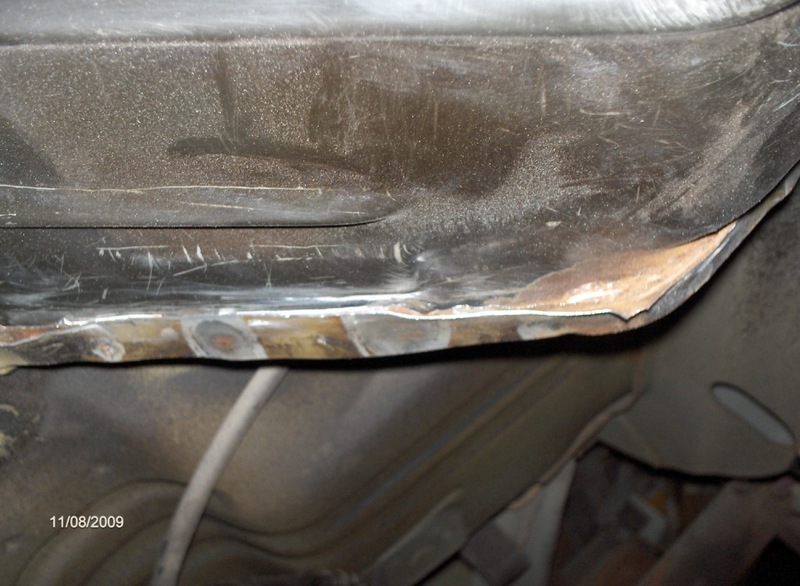 The drivers side rocker panel was all wavy and someone had tried jacking up the car by the passenger side rocker panel. 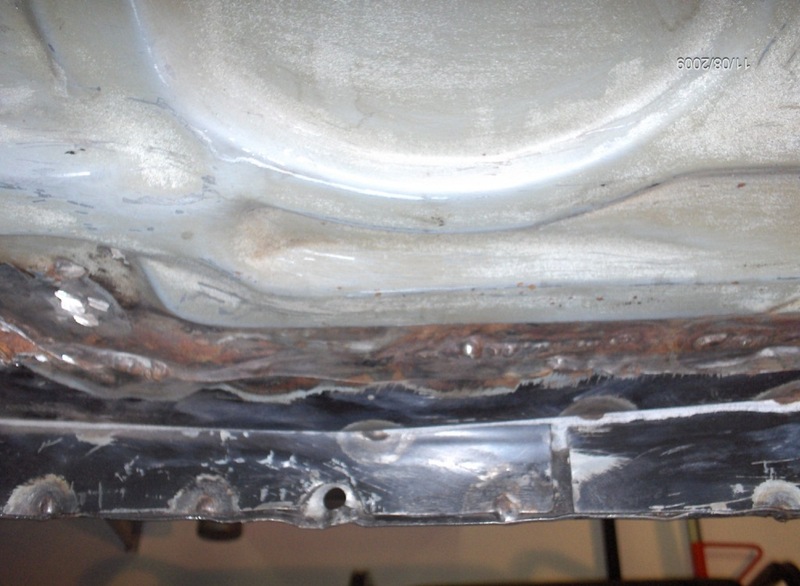 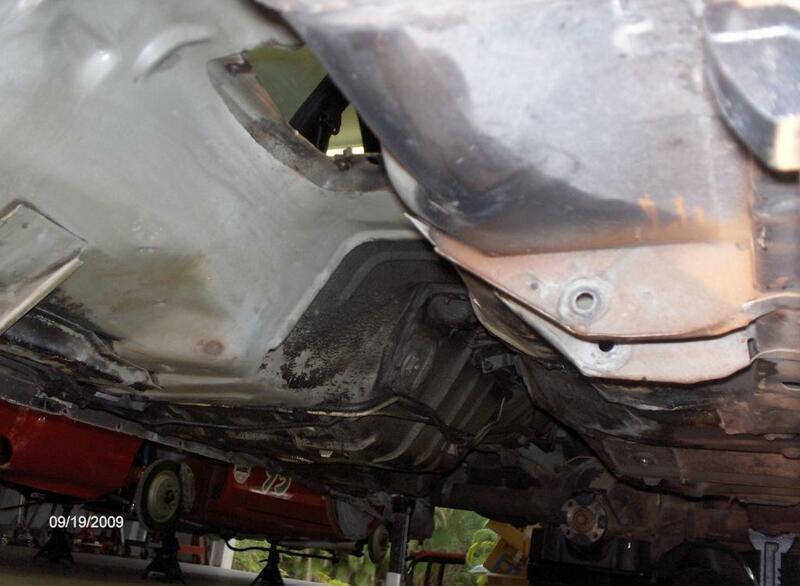 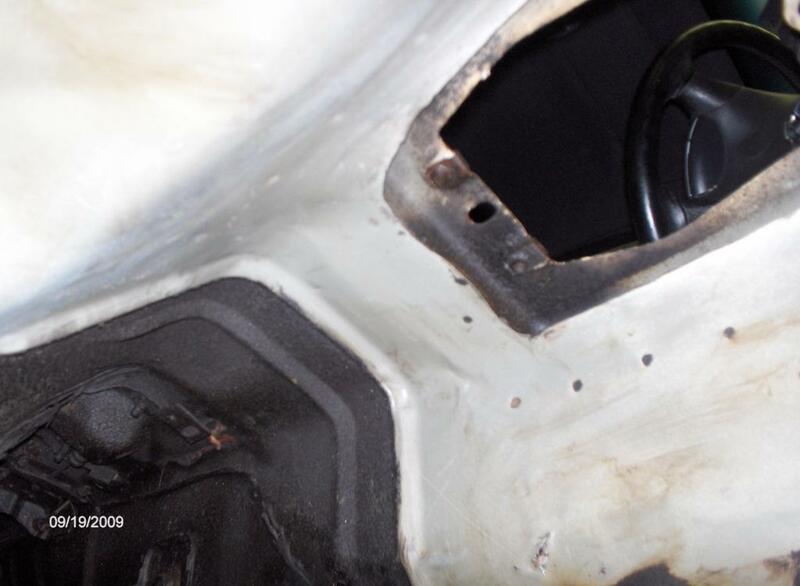 Finally, the front frame rails were all beat up, by repeated improper jacking of the car.